Place all ingredients in a large bowl and mix well. 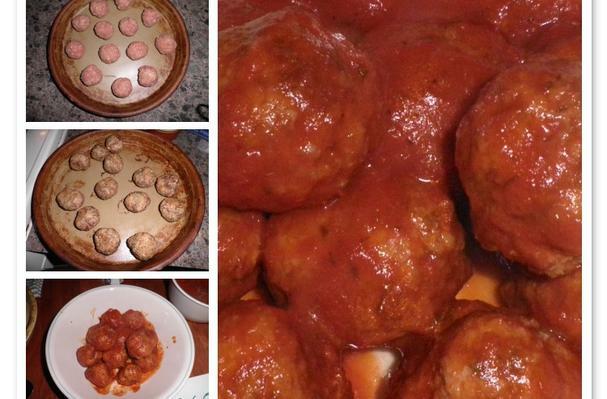 Form into meatballs, and place on an ungreased baking sheet. Bake for 20-25 minutes until browned, turning once. Mix into your favorite sauce and serve in hard rolls or with your favorite pasta.